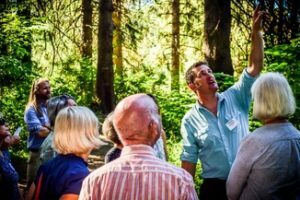 Join us for HAF’s seventh annual Forage in the Forest dinner and auction! 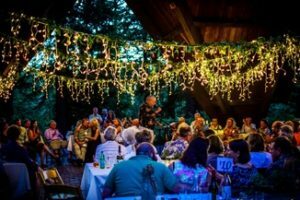 Held on Saturday, August 3 at the picturesque Stevens Pavilion in Hoyt Arboretum, this special night brings together the many supporters that make Hoyt Arboretum possible. 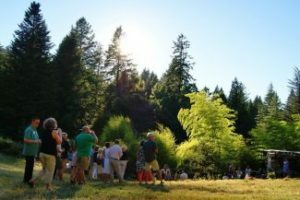 Entertain your senses and savor a meal of local, hand-crafted foods, learn about the unique trees that have called Hoyt Arboretum home since 1928, and support the future of conservation and education through our live auction and paddle raise. Seating is limited to 100 guests. The amount of your ticket over $100 is tax-deductible. Tickets go on sale to the public June 15, 2019. Questions about the event? Please contact Communications & Development Coordinator, Sophie Rubenstein by email at Sophie.Rubenstein@portlandoregon.gov or by phone: 503.823.4477.